Thanks to Abrams for the link. Wow! 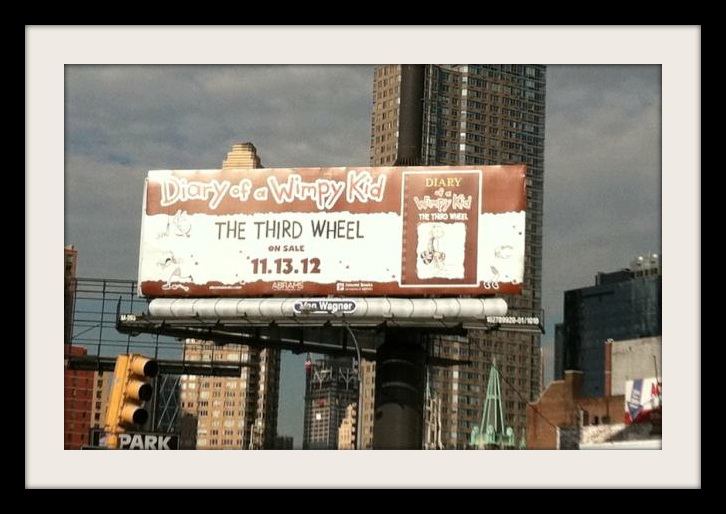 Check out that amazing billboard for Diary of a Wimpy Kid:The Third Wheel! You know a book has a healthy marketing budget when it finds itself on a billboard. If only we saw more billboards advertising children's books. I imagine a child spotting an advertisement for Babymouse: Cupcake Tycoon and announcing from the backseat, "Mom, we need to find the closest independent bookshop. Stat." 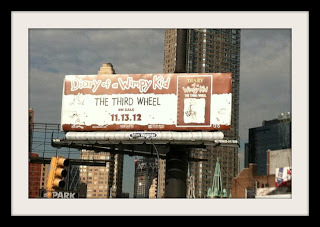 Look for Diary of a Wimpy Kid: The Third Wheel on November 13, 2012. I'm calling it a success that I've read (and loved) 7 of your 8 books listed. Still need to find C.R. Mudgeon. Can't wait for the next Diary of a Wimpy Kid book. 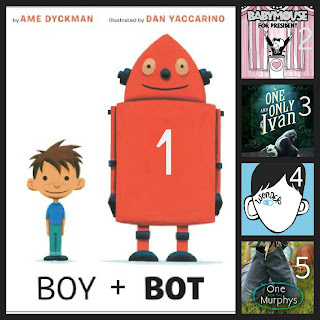 Shared these with our class to inspire summer reading! 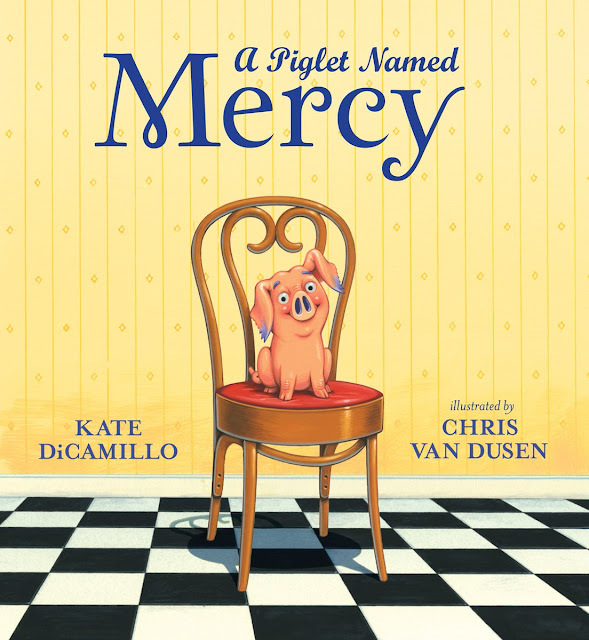 I love excitement around books!! Oh wow, thanks for including C.R. Mudgeon on this awesome list! !